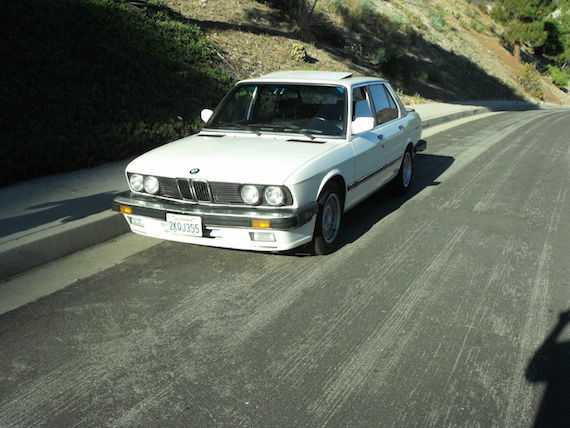 The 535is provides a lot of E28 bang for your bucks, with the spoilers and much of the handling improvements of the M5 along with a lot more color choices and lower maintenance costs. The M30 is a beast that can go for Mercedes-diesel-type miles, and all the while you’re cruising in one of my personal-favorite car designs. Today’s is a well-used example that has been cared for enough to still be a good buy. 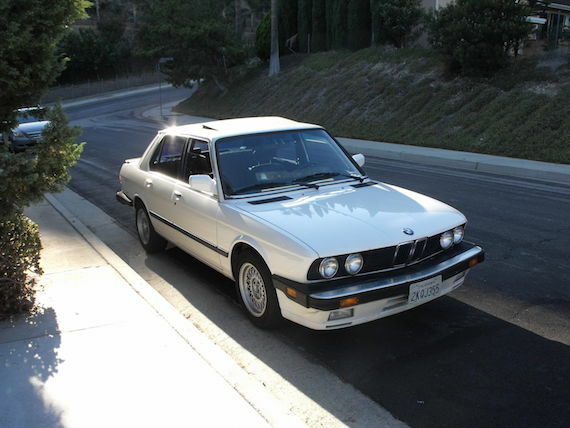 The 80s-BMW price bug may hit these some day, but for now they’re one of the best bargains out there as the M-cars and the E30 “is” models become coveted and values are driven up. 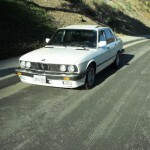 Up for sale is our beautiful 1988 e28 BMW 535is with white exterior and black leather interior. The â€œisâ€ designation means the car shares much of same body cladding found on the high end BMW M5 of this generation. This car is powered by the legendary 3.4L M30 straight six coupled with a getrag 5-speed manual transmission. This car is mostly stock, except for a few tasteful modifications. 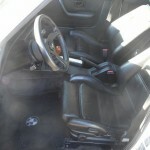 The front seats are manual sport seats found in the e30 series BMW to replace the manual comfort seats installed using using a professional kit of billet aluminum brackets supplied by Massive. The oil pan is protected with a custom skid plate supplied by Race Skids, the steering wheel is a Momo Montecarlo with fine spline hub, and the shifter is a Nardi wood shift knob. 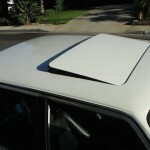 The dashboard has some cracks, so I had a Coverlay dash cover professionally installed. This car has been regularly maintained and is adult owned. This has been our 3rd car which I typically drive on the weekends. In the several years that weâ€™ve owned it, it has never given us any trouble. It is a California car and therefore has absolutely no rust. It comes with a complete service history and does not need anything. Oil has been changed at 8k intervals with Lubro-Moly anti-friction. Tires are Michelin Pilot Exalto and have over 80% tread life. May 2013 â€“ Sergeâ€™s Automotive: replace o-ring for high pressure A/C hose and recharge system. 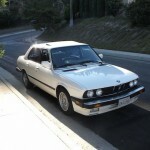 May 2012 â€“ Coast MBZ/BMW Service: replace water pump, thermostat & gasket, coolant hoses, and fresh coolant. 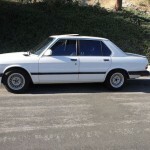 May 2012 â€“ Coast MBZ/BMW Service: rebuilt driveshaft, new spark plugs, breather hose, oil change, inspect brakes, and weld downpipe near bank 2 exhaust manifold. 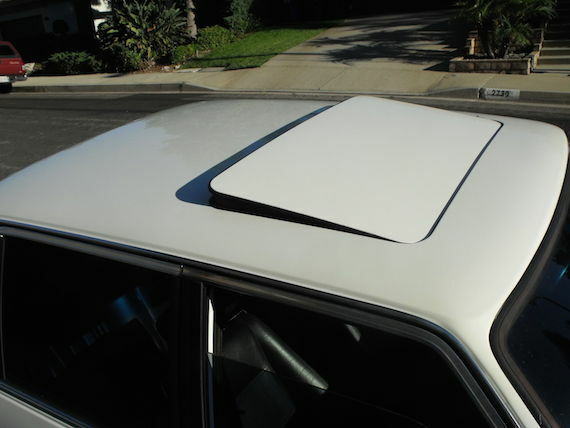 April 2011 â€“ America Mufflers, Inc.: replace catalytic convertor. May 2010 â€“ Bavaria Auto Center: new clutch assembly, fork linkage, pilot bearing, clitch hydraulics, drive belts, heater hoses, service power steering, adjust valves, complete major tune-up and new battery cables. Included with the car are some routine maintenance items, a set of 4 spare power window regulators and the Bentley Service manual. Overall this is probably one of the best kept e28 BMWs to be found in excellent condition with minor tasteful modifications. We had a baby in April of this year and as such we are re-prioritizing; however, by no means does that mean we are desperate to sell. I have priced it reasonably and would prefer that it goes to a fellow enthusiast who appreciates its rarity. Car has been repainted previously; this is a very high quality paint job and one can only know if you look closely. Like any 20+ year old car the paint was slightly aging and the previous owner who was also very meticulous decided to paint it. If the car sells locally or outside of eBay, I reserve the right to cancel the auction. Shift linkages have been rebuilt at the time the drive shaft was rebuilt. 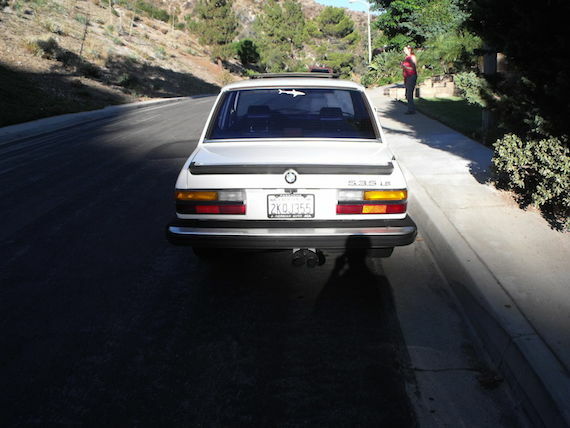 With a modicum of care throughout their lives, E28s can live long and strong while providing a more direct and engaging driving experience than most cars since. 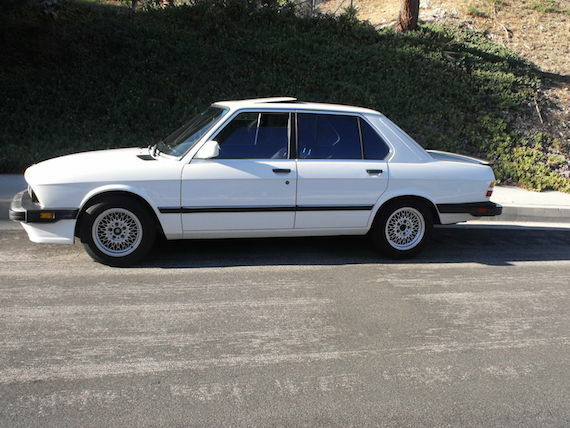 It sounds like the owners of this (repainted) white example have had a strong interest in keeping it from the beater status some E28s fall into, and I’d guess the next owner will have many years of fun driving ahead without too much headache. 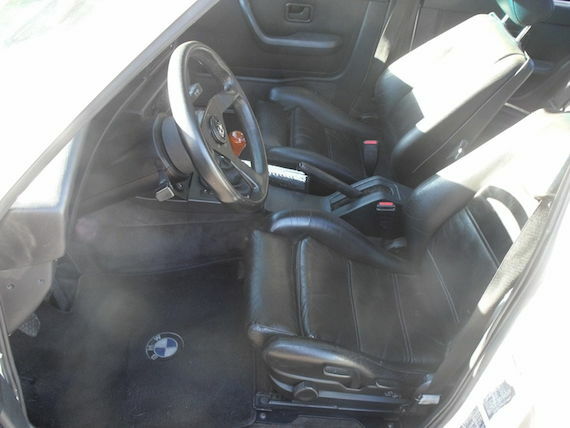 Bidding is low for now, but the reserve should come off soon and someone can have a fun sports sedan for around $5k. 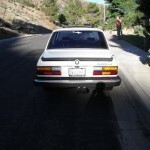 Tagged 1988, 5 series, 535is, 5er, BMW, e28.